Recently, with some changes to the car seat laws a lot of parents have been getting confused. Just this last week a couple of parents and myself have been talking car seats and whats best for your child even for the older ones. In 2013 the I-SIZE regulation was brought in as part of ECE R129 which calls for rearward-facing seats to be used for longer, and stipulates measurements based on height rather than weight, which I feel is much safer. I think quite possibly the most confusing is car seats for babies, how long should they stay rearfacing? They seem squashed, surely I should change them forward facing now? If I'm being honest, as soon as my eldest was 'old enough' I changed him forward facing, I had no idea that you could rear-face for longer than the 9 months recommended on my car seat I purchased - how wrong was I. I'm pleased to say at 14 months Isla is still regularly rear facing. To fit in the i-SIZE, Britax have created a BABY-SAFE i-SIZE, which is conforms to the new seat regulations, and is suitable for newborns up to 15 months with 83cm of space. Here's what Britax have to say. The BABY-SAFE i-SIZE can be used with one of two new bases, including a one-of-a-kind FLEX BASE that allows parents to adjust the angle, providing an ergonomic, flatter position for their baby. BABY-SAFE i-SIZE has been designed to conform to the new car seat regulation ECE R129 (i-Size) and is suitable from birth to 83cm. The infant carrier has a newborn insert for extra support that offers energy absorption in case of an impact. The insert can be removed and the height of the headrest adjusted, allowing for more space as the child grows. Since the majority of infants have a height of 83cm or less at 15 months, parents won’t be scrambling to purchase a new child car seat before the baby reaches 15 months. It is often difficult to decide the best lying position for small newborns during a car journey. Because a small baby’s muscles aren’t developed enough, a flatter lying position is better. However, a more upright position is safer in the event of an impact. The BABY-SAFE i-SIZE has patented lie-flat technology offering parents an easy solution according to the height of the child. 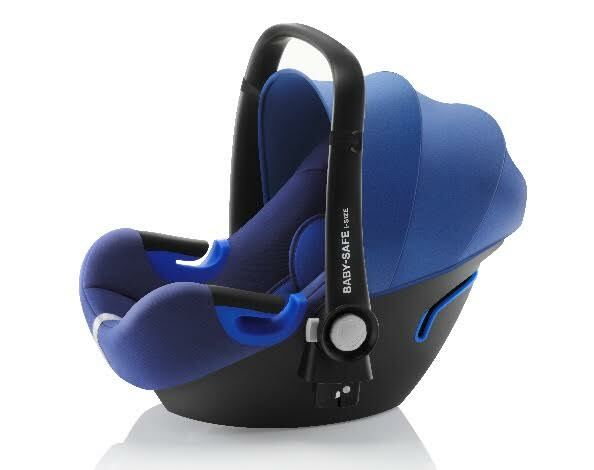 The position changes automatically when adjusting the headrest, increasing the space to suit the child’s development. The shoulder straps also adjust automatically when adjusting the headrest. Vehicle car seats come at different angles – some are steeper than others. This also impacts the angle at which the baby lies in the infant carrier that is installed on the car seat. In cars with inclined vehicle seats, a baby’s head may tip forwards when they are in an infant carrier. The BABY-SAFE i-SIZE FLEX BASE, the unique base angle can be adjusted, providing an ergonomic, flatter position for the baby, keeping them comfortable and safe. The base can easily be adjusted to four different positions and also includes a handy indicator to show when the angle is too flat. Britax Römer’s improved Side Impact Cushion Technology (SICT) offers superior protection in case of a side collision in two steps. It pushes the child away from the impact in a controlled movement and then reforms to absorb energy exerted onto the infant. The five-point-harness keeps children safe and tight in the protective shell of the seat. In case of a collision, the harness distributes the forces of the impact across five points, to help protect infants from all directions of impact. Because parents will be moving the infant carrier in and out of the car many times, especially in the first months, installation and removal is made easy with the BABY-SAFE i-SIZE FLEX BASE or the BABY-SAFE i-SIZE BASE. The bases remain in the car, fixed to the ISOFIX connection points, and the infant carrier simply clicks on and off the base as needed. Indicators on the bases show if the infant carrier is installed on the base correctly, providing parents with peace of mind on every journey. 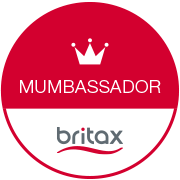 Post brought to you as part of our collaboration as Britax Ambassadors.